FASTER86.COM - What Attract Of Yogyakarta Yogyakarta, one of the provinces in Indonesia, with a population of around 2.5 million inhabitants. Yogyakarta, a city located in the center of Java island, where in the southern part bordering the Indian Ocean, north bordering Central Java, east by East Java and Central Java. Karaton, Keraton or Kraton is derived from the word ka-queen's meaning residence queen (king, in Javanese) and family. 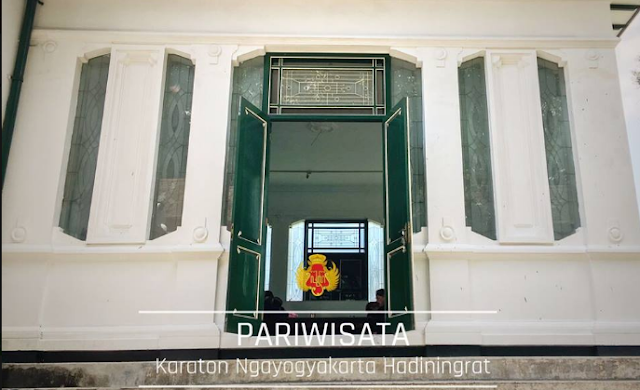 Not just a building, Karatons Ngayogyakarta has a philosophy very high value as the center of Javanese culture. In Sultan Palace is also still a governance structure that remained preserved since ancient times to the present. Besides, functions now as one of the attractions is the main attraction in Yogyakarta. Initially, not just anyone can enter the core complex (Kedhaton) Keraton Yogyakarta. In the region there Gedhong Purworetno Gedong Jene and that the residence and private office HB HB VIII and IX. In addition, there are also complex and Keputren Kasatriyan used as the residence of the son and daughter of the Sultan. Courtesy of Sri Sultan HB IX, on October 1, 1969 formed side: Tourism. However, this tourism activity is very limited. One place which first made accessible to the public is Kasatriyan Ward. In these places, since the beginning of HB KA10, there is a dance workout (gladhen beksan) carried out every day on Sunday and can be followed by anyone who already has a basic Java Yogyakarta style dance by following the applicable regulations. The interesting thing from Yogya is a population that is welcoming and friendly, this is what causes Yogya become one of the tourist destinations in the world. If you've ever searched in google, then you will menmukan yogya what is interesting about it. Well this time we will find out what gives a lasting impression for foreign tourists on the Jogjakarta. Here are some things that make it interesting to visit Jogja. Kedhaton contained in the southeastern part of the buildings built during the lane VII. When this place was used as an office and a library. Internal works including manuscripts old palace is managed by the Library Widyabudaya. Meanwhile, works by writers outside of the palace is managed by Wilapa Banjar. Library palace is basically open to the public. Nonetheless, for those interested, must first send a letter to Penghageng Widyabudaya for later assisted access to the works desired. Over time, the palace tourism is growing. Some of the buildings in the complex Kasatriyan then converted as a museum. Currently there are 6 museums within the scope Kedhaton like Batik Museum, the Museum of Painting, HB IX Museum, Museum of Ceramics, Crystal Museum and Museum Souvenir. 1. Batik Museum that presents various types of Yogyakarta batik style. 2. Painting Museum store a variety of family paintings Sultanate (Sentana Dalem) since Sri Sultan HB I, including a family tree history sultans who once reigned. 3. Museum Sri Sultan HB IX (Gedhong glass) initiated by Sri Sultan HB KA10 in 1992 stores various historical documents HB IX. 4. Museum of Ceramics store furniture that is still used for the banquet until now. 5. Museum Kristal keep all kitchen utensils made of crystal complete with respective pins Sultan showing the procurement of such items. 6. Museum souvenir store objects that are mementos of any guests who visit Yogyakarta Palace. In addition to the above six museums, outside there Kedhaton Complex in Jalan Rotowijayan Railway Museum and other museums in the area and the Court Sitihinggil performances.